Achieve a flawless complexion with bareMinerals Unwrap a Flawless Glow Complexion Rescue™ Collection in 'Tan'. Combining a tinted gel cream and translucent finishing powder, the set will leave your skin looking naturally airbrushed and perfected. Complete with a Mini Smoothing Face Brush and complimentary makeup pouch. 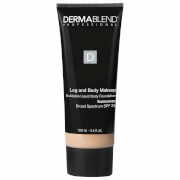 A tinted gel-cream formula that performs as a BB cream, CC cream and tinted moisturizer, all in one. 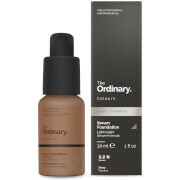 Combining skincare benefits with skin-perfecting coverage, the formula glides smoothly over skin, delivering sheer-to-medium coverage with a smoothing, dewy finish. Its intensely moisturizing properties increase skin hydration after just one week, and its antioxidant-rich formula and mineral based SPF 30 keep skin safe from external factors. Coconut-derived ingredients help to replenish and hydrate, so skin feels nourished and conditioned. Free from silicones, oils, parabens and fragrance. Hypoallergenic. Non-comedogenic. Dermatologist tested. A weightless, translucent finishing powder. With a sheer, natural finish, the mineral powder is perfect for all skin tones and delivers a veil of weightless coverage, minimising the look of pores, absorbing oil and setting foundation in place for long-lasting makeup. Fortified with SPF 25 for UV protection, the powder shields skin from daily aggressors and leaves skin looking feather-light, fresh and 'airbrushed'. 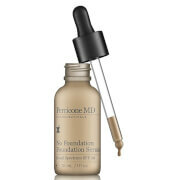 Can be worn alone for a fresh look or buffed over foundation for higher coverage. A dual fibre brush perfect for applying Complexion Rescue Hydrating Gel Cream. Fitted with synthetic bristles to create a dome-shaped head, the makeup brush provides professional blending and allows you to control and diffuse product with ease. Smooth and soft on application, the brush will expertly blend product onto skin for flawless results. Gel Cream: Apply to clean skin with fingertips. Layer for additional coverage at home or on-the-go. Finishing Powder: Swirl a small amount of Mineral Veil into the lid until all the Mineral Veil has been tucked into the bristles. Tap away excess. There should be no visible Mineral Veil on the outside of the brush. Buff the Mineral Veil into the skin in a circular motion, starting on the outside of your face near your cheekbone, swirling as you go. Buff around your face and then approach your forehead, cheeks, and nose. Gel Cream: Active: Titanium Dioxide 6.2%. Inactive: Water, Coconut Alkanes, Propanediol, Squalane, Trehalose, Isostearic Acid, Glycerin, Silica, Agar, Caprylic/Capric Triglyceride, Globularia Cordifolia Callus Culture Extract, Salicornia Herbacea Extract, Melilotus Officinalis Extract, Coco-Caprylate/Caprate, Butylene Glycol, Lauroyl Lysine, Sodium Hyaluronate, Succinoglycan, Polysorbate 60, Cellulose Gum, Polyglyceryl-4 Laurate/Succinate, Sorbitan Sesquiisostearate, Magnesium Stearate, Magnesium Hydroxide, Magnesium Chloride, Potassium Chloride, Calcium Chloride, Potassium Sorbate, Phenoxyethanol. May Contain: Titanium Dioxide, Iron Oxides. Finishing Powder: Titanium Dixoide, Zea Mays (Corn Starch), Corn Starch Modified, Zinc Stearate, Silica, Magnesium Stearate. May Contain: Titanium Dioxide, Iron Oxides.